This article deals with the safety risks for the environment related with the normal use of veterinary antiparasitics in domestic animals. Not with the risks associated with manufacturing, transport or storage of such drugs, which are of another type and magnitude and are beyond the responsibility of farmers, producers or pet owners. Take a farm with 1000 heads of cattle in a region with endemic tick infestations that dips cattle every 2 weeks during 7 months a year e.g. in Mexico. 1000 heads X 15 dips X 5 liters/head/dip = 75'000 liters dip wash. If the dip wash was diluted at a 1:1000 ratio this results in about 75 liters product being used. If the active ingredient content was 30%, about 22.5 kg active ingredient were used. If there are 10 dogs in the property that are treated with the same product at the same time as cattle, the amount used for the 10 dogs would be: 10 dogs X 15 dips x 0.5 liters/dog/dip = 75 liters dip wash, i.e. 0.075 liters product, or about 22.5 grams active ingredient, 1000 times less than for the 100 cattle. In fact, for the vast majority of pet antiparasitics, the regulatory authorities in most countries (USA, EU, Australia, etc,) do not require an extended environmental risk assessment, which is usually always required for livestock antiparasitics, particularly for ectoparasiticides. Correct use of most modern livestock antiparasitics is not associated with high risks of environmental pollution, particularly if compared with the risks related to the use of crop pesticides. Among the veterinary antiparasitics, the risk is even lower for those that are delivered orally or by injection, because most of them are not or only slightly harmful for non-target organisms and because the amounts that may reach the environment are very low. The risk is higher for external antiparasitics (ectoparasiticides) because the risk of an accidental spillage is higher and because they often contain broad-spectrum insecticides or acaricides that can be highly toxic for many organisms living in the environment. In the last decades, the general risks for the environment have been substantially reduced after the withdrawal of organochlorines that are broken down very slowly in the environment and tend to accumulate in the food chain. To my knowledge, in Europe, America or the Pacific no chemicals are nowadays approved for use on food producing animals that accumulate in the food chain. Nevertheless, several veteran ectoparasiticides that remain available in many countries have a substantial potential of causing severe environmental pollution. This is the case for active ingredients belonging to the organophosphates, carbamates and synthetic pyrethroids. They do not accumulate in the food chain and are broken down more or less quickly in the environment. But all are very toxic to aquatic and earth invertebrates that occupy the bottom of the food chain. 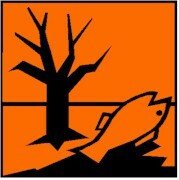 Organophosphates and carbamates are very toxic to birds and fish. And synthetic pyrethroids are extremely toxic to fish. A classic example of negative impact of such compounds was (and partially remains) the death of hundreds of birds that fed on dead ticks killed on cattle after treatment with an organophosphate tickicide. The use of macrocyclic lactones (particularly ivermectin) in cattle and other livestock leads to residues of the active ingredient in the dung. If all cattle in a property, or even in a whole region are treated with ivermectin, almost all dung is contaminated with it. The effect of such residues on the dung fauna (e.g. dung beetles, larvae of Dipteran flies, etc.) that breeds or feeds on dung and contribute to its recycling has been rather controversial and subject to abundant research. Nowadays, after almost 40 years of very intensive use of such compounds in billions of cattle it can be concluded that, as a general rule, it does not block dung recycling substantially, although an impact on the dung fauna cannot be excluded everywhere. But the enormous benefits of the use of such compounds overweight the small environmental harm that cannot be excluded under particular local but unusual conditions. Macrocyclic lactones have contributed to substantially reduce the use of much more toxic compounds such as organophosphates and carbamates. Another particular case is the use of insect growth regulators (IGRs) and other larvicides for controlling larvae of biting and nuisance flies (houseflies, stable flies, horn flies, etc.) that breed in manure and garbage in and around livestock and poultry facilities. Most used IGRs for this purpose are cyromazine, diflubenzuron, methoprene and triflumuron. But a few organophosphates are also used as larvicides, e.g. tetrachlorvinphos. Some of these compounds can be used as feed additives that get unchanged through the animals digestive system and impregnate their dung; or for direct treatment (spraying, dusting, etc,) of manure or garbage. IGRs have a very low mammalian toxicity, which makes them safe for use on livestock. But they are highly toxic for insects and other beneficial arthropods that breed in manure and garbage together with biting and nuisance flies. The only exception is cyromazine that has a rather narrow spectrum of activity against Dipteran flies. It is arguable whether manure produced in livestock facilities is an environment that needs to be protected. But if manure highly contaminated with broad-spectrum IGRs is used as fertilizer or is simply dumped elsewhere, it can indeed have a negative impact on the invertebrate fauna of those other more valuable environments. Until the late 1990s, before the arrival of cheap generics of macrocyclic lactones, plunge dipping was worldwide the most popular method for controlling ticks in cattle as well as blowfly strike and mites in sheep. Most used active ingredients were organophosphates, amitraz and synthetic pyrethroids. Plunge dipping was also rather cheap and the dipping tradition went back to the 19th century. In those decades neither pour-ons, nor injectables, nor slow-release boluses or other modern delivery forms were broadly available for ectoparasite control on livestock. It was basically either plunge dipping, spraying or dusting. The problem with plunge dips is that they need to be emptied regularly, because they become increasingly polluted with mud, or for other operational reasons. Emptying a plunge dip means dumping somewhere around the dip up to 10'000 liters of dip wash containing an antiparasitic active ingredients that is highly toxic to most aquatic and terrestrial microfauna, and often also to fish and birds. At an average use strength of about 100 to 500 mg/l (= ppm), 10'000 liters dip wash contain 1 to 5 kg pure active ingredient, an enormous amount dumped in a small surface that would kill any microfauna there and take months or years for being broken down. For some products, it was recommended to add some chemical to the dip wash that would accelerate breakdown of the active ingredients (e.g. lime) before dumping. And it was always recommended to dump it on fallow land, not on pastures or crops. But such recommendations were not always implemented correctly, and excessive pollution was rather frequent. Occasionally, such highly toxic dip wash ended in a watercourse or in a lake causing the death of thousands of fish and other aquatic fauna. Nowadays, due to the availability of affordable pour-ons and injectables, and following regulatory pressure most plunge dipping has been replaced in many countries, although it still remains quite popular in Latin America and Africa. In many countries (e.g. Australia, the EU) regulatory pressure has led to much stricter safety precautions that make usage of plunge dips very inconvenient for farmers, and also to the simple ban of certain products or of their approval for plunge dipping. In addition, the registration requirements for safe disposal of new plunge dips in those countries have made it virtually impossible to develop new products: either it is too expensive to develop and implement for manufacturers, or it is simply technically not feasible. The result is that, to my knowledge, no new products for cattle or sheep plunge dipping have been approved in the EU or the US since the mid 1980s. The only exception I'm aware of is EXTINOSAD, a product containing spinosad for blowfly strike and lice control in sheep approved in Australia and New Zealand early in this century. However, even in these countries some old products for plunge dipping still remain "tolerated" although the basic disposal problems have not been solved and the corresponding risks remain considerable. This is also the case in most of Latin America and Africa, where the replacement of plunge dips with modern less polluting antiparasitics is less advanced because it is driven mainly by price and parasite resistance, not by regulatory pressure. As pour-ons and injectables become cheaper, more and more farmers abandon plunge dipping. And since resistance of ticks and flies to many active ingredients in plunge dips increases and spreads, many farmers have no other option than switching to newer products that are only available mainly as pour-ons or injectables.